Last weekend marked The Whisky Exchange’s 10th annual Whisky Show. I went along for, rather shamefully, the first time – and had my preconceptions utterly annihilated. InchDairnie’s Ian Palmer and Dave Broom manning a stand at the ScotchWhisky.com Future Trends Lab. The first – perhaps point-of-this-post-defeating – statement I’d like to make, is that The Whisky Show 2018 was excellent fun. It would be easy to get bogged down in the ‘how’ and ‘why’ and ‘what’ of the show; in analysis and deduction and to make grand, sweeping statements about the state of whisky today. There’s value in that discussion, too. But as someone attending for the first time, my overwhelming takeaway is that the show is just a really fun way to spend a weekend. Here is, in my opinion, why. 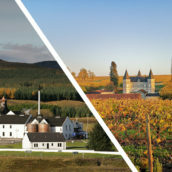 From new new whisky – Starward’s New World Projects, new-make spirit aged for less than three years, spring to mind – to new old whisky – G&M unveiled a pair of twin-cask, 1961 vintage Longmorns set to retail at £30,000 for the pair – to more accessible, if you will, ‘everyday’ releases and even a whole host of Whisky Show exclusive bottlings. Pound-for-pound, this weekend stacks itself as the absolute place to be to see and taste all of the whisky world’s newest additions. And the really good bit? Almost all of them are available to taste, included in your ticket price. Three exclusive show bottlings by The Whisky Exchange: (from left to right) 44-year-old Invergordon single grain, Ledaig 12 Year Old single malt and a Ben Nevis 21 Year Old single malt. Like, really old whisky. Not only did loads of distilleries bring along older expressions from their ranges, but masterclasses – I attended ‘Better Bourbon’ with Justin Sloan and ‘The Three Pillars of Islay’ with Jackie Thomson, Georgie Crawford and Lynne McEwan, and both were excellent – offered up opportunities to try things which are all but gone from this world. 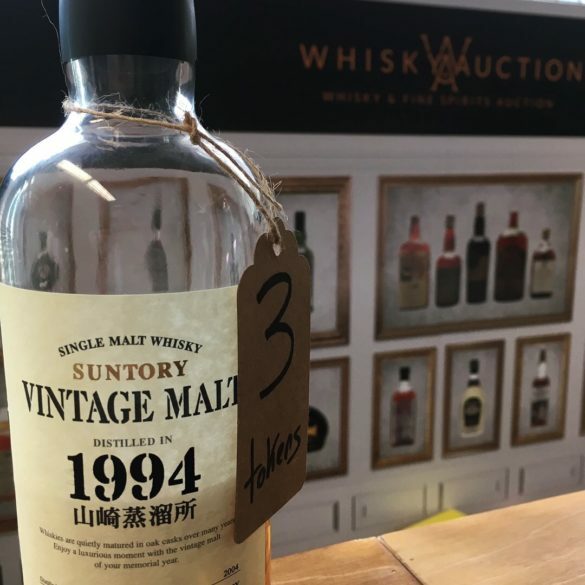 As if that wasn’t enough, Whisky.Auction ran a stand pouring several bottles upwards of 60 years old, offering a real and tasty insight into the drams of days-gone-by. 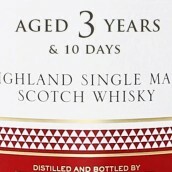 One of the younger bottles on offer at the Whisky.Auction stand. Included in the ticket price was a voucher for a full, two-course meal – meat, fish or vegetarian, plus a choice of whisky-infused pudding – in the underground Brasserie. Decent. If that wasn’t enough, there were also stands selling a variety of artisanal goodies for your delectation: cheese, chocolate cake and delightful meaty snacks in no short supply. Or you could just run around snaffling oatcakes after every dram, if that’s your kind of thing. I’m not here to judge – some people just really like oatcakes, okay? Leave me alone. A wee drop of Black Tot Last Consignment. And oatcakes. Loads of them, on so many levels. From masterclasses on the specifics of certain categories, bottlers and distilleries, to the folks manning the stands who just really want to tell you about their whisky, opportunities to broaden your knowledge abound. And quite aside from the people, as I’m frequently told in my daily working life – no, really – the best way to learn is just to try stuff. So try away! Rum. Who knew, eh? 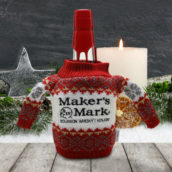 This year’s guest spirit had its own dedicated space up on the first floor, where the more adventurous attendees could be found, wide-eyed at the newly-discovered depth and complexity available in a spirit too-often dismissed as mixer-juice. 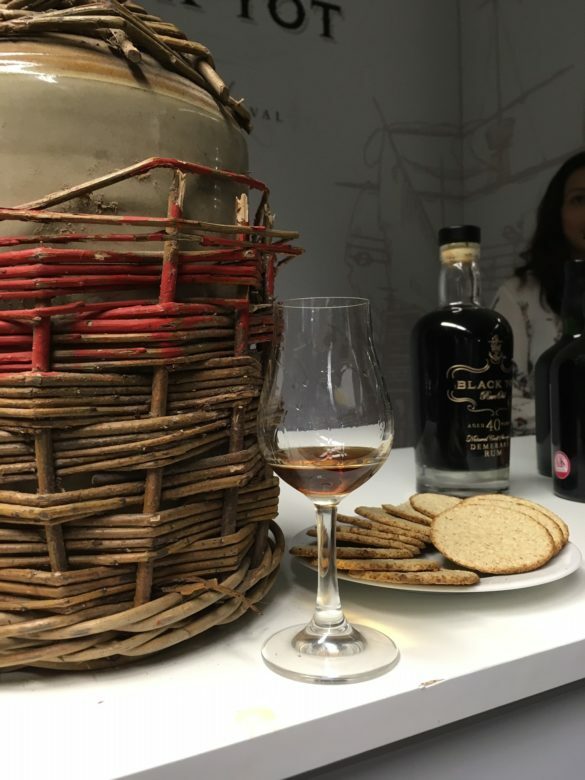 So, not only did this show give rum a space in which to make its case and flourish, but it gave people like me the opportunity to taste some of the finest and most mind-bendingly different spirits I’ve ever had the pleasure of tasting. Velier president Luca Gargano showing off new Hampden Estate rum. All of the above would be null and void if the show was full of unpleasant people who didn’t want to talk to each other. Luckily, that wasn’t the case; exhibitors and attendees alike were in fine form, gathered together to celebrate a shared enthusiasm. 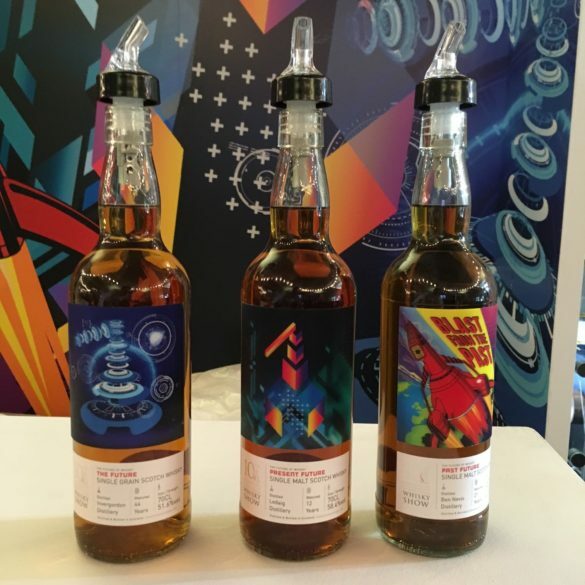 Exhibitors in particular – whisky enthusiasts themselves, of course – seemed delighted to be able to do away with sales pitches and such, and simply pour great drams for people excited to drink them, all of which made for a fun, buzzy atmosphere. In summary then, what might look like a trade show from the outside, quickly becomes something far more celebratory once the doors are open. Indeed, The Whisky Show – to my eyes – bears more resemblance to a beer festival than a trade show. A place for people to gather and taste stunning examples of drinks they enjoy, and maybe learn a little more about it on the way.